Cuestión’s story starts with the quest to question life and discover the answers to these questions both personal, and universal. Is it worse to fail at something, or to never even try? What holds you back from doing what you really want? What is the line between insanity and creativity? It was these questions, and many more, that brought two individuals together to create, and bring to the world, Cuestión Tequila and the ethos to #cuestioneverything. In 2009, American Jason Fandrich was on such a journey to answer these personal questions when he happened to meet distiller Jose de Jesus Dominguez Figueroa at a tequila tasting event in Playa de Carmen in Mexico. 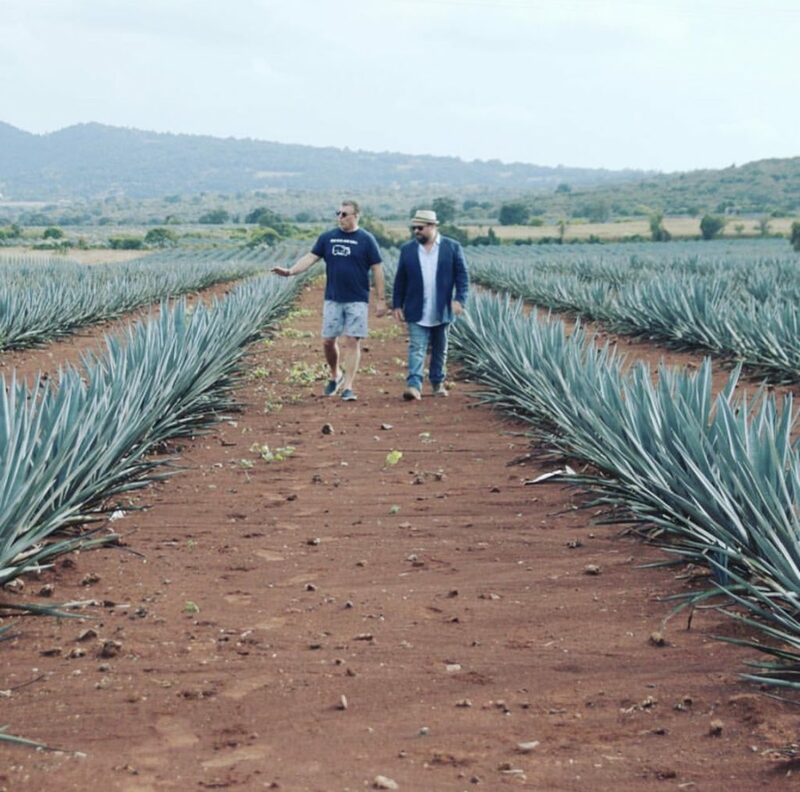 Fandrich tasted the early production of tequila by Figueroa, who had recently pursued his own passion for the art of creating the best ultra premium tequila. The result produced a product that would help usher in a modern age and respect for tequila, much like that of bourbon and whisky. The two struck up a friendship, and just a few weeks afterwards, these two co-founders built a business relationship to create Cuestión Spirits Company, Inc. to produce and import the tequila into the US. In 2011, Cuestión Spirits Company, Inc. launched in Nashville, TN, and in doing so, introduced their product to the US. Receiving rave reviews, Cuestión Tequila won more than 20 awards in it’s first year of release at events ranging from the San Francisco World Spirits Competition to the New York World Wine & Spirits Competition to the Beverage Testing Institute. The uniquely shaped bottle, in the shape of an upside question mark “¿”, pays homage to the questions which precipitated the meeting of Cuestión’s CEO and their distiller. Further pursuing their new passion, Fandrich and Figueroa both becoming a Tequiliera y Catador – Experto en Tequila (think of it as a master maker and wine sommelier, but for tequila) in 2012, with Fandrich being one of only a handful in the US to be honored with this designation. Cuestión Tequila is produced from 100% Weber Blue Agave, in the Highlands (Los Altos) of Jalisco, Mexico. This challenging environment provides for higher sugar content and more robust flavor. When the agave has grown for up to 10 years to reach full maturity, the hearts of the agave, or piñas, are harvested and hand selected by our jimadores to be taken to our distillery (NOM 1479). The piñas are then split and slowly cooked in an autoclave for 7-10 hours to break down the fiber and caramelize the agave. This process gives us the cleanest and purist by-product without contaminants of fuel, propellants, or carcinogens . From there, we mill the agave followed by up to a 96 hour fermentation process to give us our wort, or “mosto”. The mosto is then distilled twice in copper pots yielding our blanco, which we either prepare for bottling, or set aside to barrel in used Tennessee whiskey barrels. The portion that is barreled will rest for 9 months to produce our reposado, or age for 18 months to produce our añejo.